Surging market volatility is making regulators increasingly concerned that bond funds have loaded up on hard-to-sell assets. 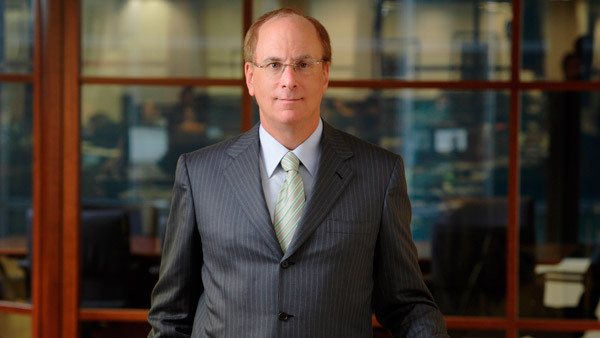 BlackRock CEO Larry Fink says he has gotten a lot of calls from regulators lately. The U.S. Securities and Exchange Commission has stepped up exams of money managers, while pushing mutual funds to test whether they could satisfy customer redemptions during periods of financial stress, said people with knowledge of the plans. Federal Reserve officials have reached out to the biggest investment firms to quiz them on markets after price swings for stocks, currencies and commodities hit a 13-month high last week, said a person briefed on the discussions. “I certainly received a lot of calls from many regulators worldwide over the last few weeks asking me what’s going on,” BlackRock Inc. Chief Executive Officer Laurence D. Fink said in an Oct. 21 Bloomberg Television interview. The New York-based firm is the world’s biggest money manager with $4.5 trillion of assets. A focus for regulators is ensuring that investors know the dangers of putting their cash in funds that trade daily yet invest in less-liquid assets such as loans and junk bonds. Last year, customers plowed a record $62.9 billion into leveraged- loan mutual funds, bringing their share of non-bank institutional lending to more than 30% from less than 20% in 2012, according to Lipper and Loan Syndications and Trade Association data. SEC spokesman John Nester and New York Fed spokesman Jonathan Freed declined to comment. Concern is mounting that as the U.S. central bank exits from almost six years of easy-money policies, debt that’s benefited most from the stimulus will lose value and investors as yields rise. Mutual funds, exchange-traded funds and households are now the biggest holders of dollar-denominated corporate and foreign bonds, accounting for 30% of the debt from less than 20% in 2007, according to International Monetary Fund data. Examiners from the SEC’s inspections group have made it a priority in recent months to ask money managers about their ability to sell certain bonds if trading dries up, said the people, who asked not to be named because the reviews are private. The SEC unit, which tries to spot market risks and ensure firms are complying with securities laws, is also checking disclosures that fund managers have made about how a jump in interest rates might affect their debt investments. A big concern is that some firms are investing in infrequently-traded leveraged loans and high-yield corporate bonds, while adhering to a mutual-fund requirement that clients be able to pull their cash daily. Worries about funds being able to meet redemptions are overblown, said Brian Reid, chief economist at the Investment Company Institute, the mutual-fund industry’s biggest trade group. Mutual-fund and ETF investors provide a stable source of cash and don’t move it around that frequently, he said. This is especially true now, with a growing proportion of older Americans investing in bonds as they approach retirement. The majority of the U.S. mutual-fund industry’s $15 trillion of assets is invested in frequently-traded government debt and stocks. Officials in the SEC division that oversees mutual funds are also urging firms to stress-test their portfolios to make sure they can pay out redemptions during long periods of market turmoil, said the people. The jawboning follows up on guidance the SEC published in January that advised money managers to check whether their funds could endure economic strain that lasts 30 days or longer and gauge the impact of specific scenarios, including spreads between government debt and other bonds widening, price shocks to fixed-income investments or a surge in interest rates. While the broad U.S. bond market has gained an average 5% a year since the end of 2008, investors are growing concerned that debt could post losses as yields rise because of less Fed stimulus. Regulators and investors got a taste of what’s at stake in June 2013, when then-Fed Chairman Ben S. Bernanke surprised traders by signaling that the central bank might start curtailing its record bond buying. Yields surged and volatility jumped for assets ranging from stocks to commodities. Some of the SEC’s recent discussions with money managers have been triggered by unforeseen events. After Bill Gross’s surprise September announcement that he would leave Newport Beach, California-based Pimco and stop running the firm’s $202 billion Total Return Fund, the regulator initiated daily discussions with the biggest fund companies to quiz them on asset flows and whether the star manager’s departure had led to any bond-market disruptions, one of the people said. The Fed and Office of the Comptroller of the Currency have also stepped up scrutiny of banks that sell leveraged loans to mutual funds. The regulators shifted to a loan-by-loan review of each deal in recent months after banks largely ignored guidance issued last year that laid out what supervisors considered excessively risky transactions, Bloomberg News reported earlier this month, citing people familiar with the policy change. IMF analysts have called on regulators to bridge the gap between mutual-fund shares that trade daily and underlying assets that may take weeks to sell. An option that should be considered is making it harder for investors to flee certain funds all at once, the analysts wrote in a report this month. The idea is radical, because federal rules are based on the premise that retail investors shouldn’t find themselves trapped in funds they can’t pull money from. At the same time, the popularity of mutual funds has been fueled, in part, by the ease at which clients can take cash out. Jay Baris, a New York-based partner and chairman of the investment-management practice at the Morrison & Foerster LLP law firm, said a lot of the onus falls on fund managers to make sure they’re not buying assets unsuitable for “hot money” clients who might disappear quickly. –With assistance from Mark Crumpton and Erik Schatzker in New York. — Check out PIMCO’s Bond ETF Woes Widespread in Industry: Morningstar Expert on ThinkAdvisor.